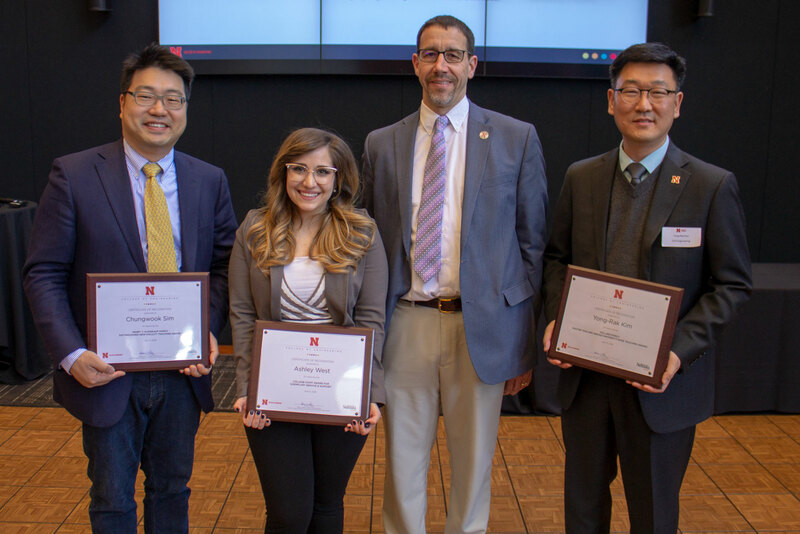 The annual Nebraska College of Engineering Awards Luncheon was held on April 5th, 2018 at the Wick Alumni Center. Our faculty and staff were well represented during the ceremony. Dr. Libby Jones earned the Holling Family Distinguished Engineering Educator Award and the UNO Alumni Association Excellence in Teaching Award. Dr. Yong-Rak Kim earned the Holling Family Master Teacher Award/UNL University‐Wide Teaching Award. Dr. Chungwook Sim earned the Henry Y. Kleinkauf Family Distinguished New Faculty Teaching Award. Dr. John Stansbury earned the Olsson Associates Engineering Faculty Excellence Award. Ashley West earned a College Staff Award for Exemplary Service and Support.